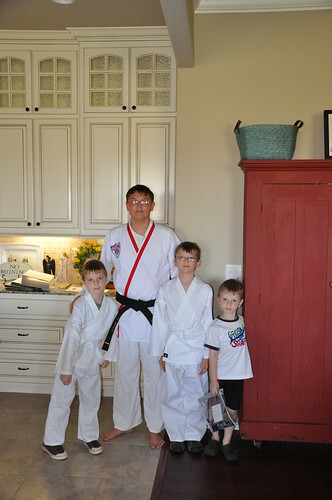 The boys are taking a Shotokan Karate / Mixed Martial Arts class here in Bartlesville. Cole went tonight and made the other teenagers (and instructor) gasp when he did his self defense techniques. I am so proud of him. Nobody wanted to volunteer to “attack” him after his very first demo. It’s a great dojo and it will take quite a bit of adjustment for him to learn their style, etc., but if anyone can do it, I know it’s Cole. 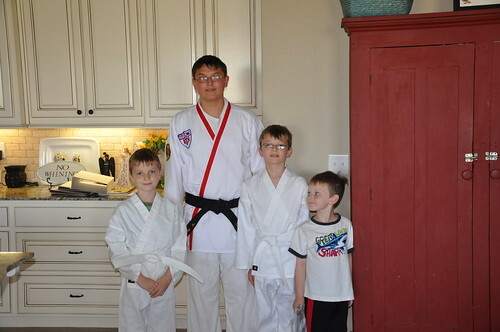 I’m hoping it’s like learning a foreign language and the old will come naturally to him – I don’t ever want him to forget the instruction he’s received in Gretna and Taekwondo. Mr. Staack and his crew were the best teachers I have ever met and we miss them terribly! Cole has been so lucky to study under that organization. 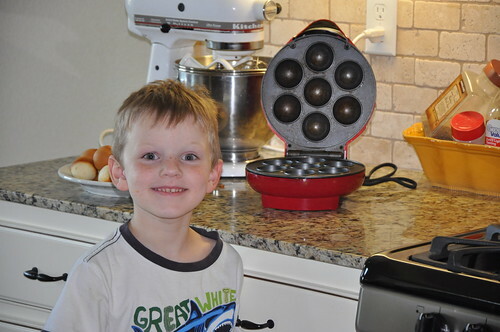 This last pic is Benjamin sampling the cake balls that Cole made today. Thanks to Aunt Lili for the great Christmas present last year. They are so fun to eat – the kids just love ’em!